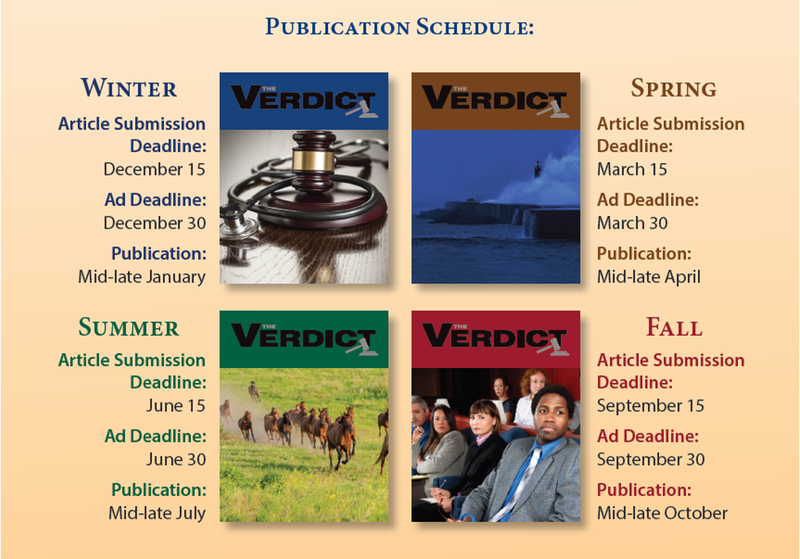 The Verdict is the quarterly publication of the Wisconsin Association for Justice, reaching members in January, April, July, and October. With a circulation of nearly 1,500 comprised of members, every judge and justice in Wisconsin and other trial attorney associations across the country, The Verdict is a unique tool to disseminate messages. Each issue of The Verdict contains important information for attorneys involved in all forms of litigation including the latest relevant legislative news, articles discussing hot legal topics, resources for paralegals, and a message from the president. The Verdict is also a popular vehicle for advertisers to reach trial attorneys in Wisconsin. Current advertisers range from research companies to law firms themselves and everything in between. WAJ gladly accepts articles for consideration by the editorial board for inclusion in The Verdict. To submit an article or topic for consideration, please email bryan@wisjustice.org. WAJ members can view past articles from The Verdict by clicking here.